I am excited to share that my “Crab on Deck” paper sculpture illustration won ‘Honorable Mention‘ at the 13th Annual National Miniature Exhibition at the Renaissance Art Gallery in West Virginia! 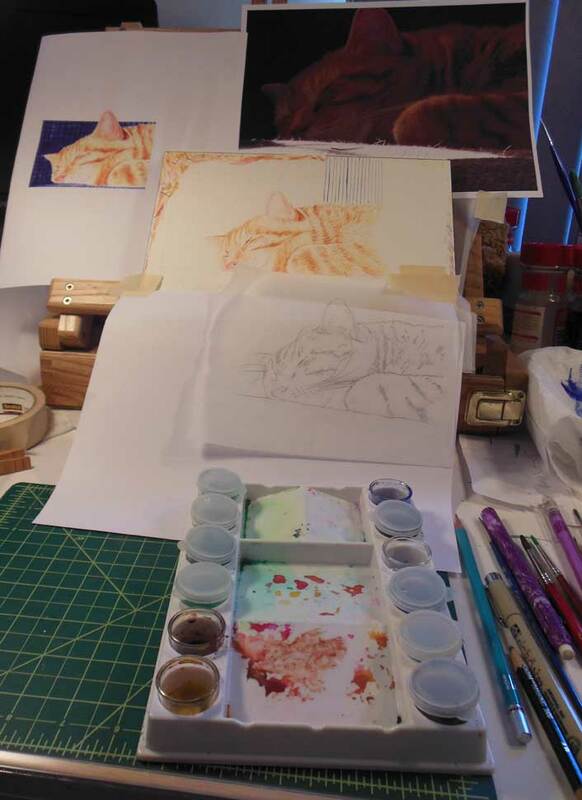 Sharing the beginning of a new cat paper sculpture illustration I am working on. Stay tuned for updates!